Center for Environmental Ethics and Law - Welcome! Every decision has ethical underpinnings. Which laws or policies are created - or not created? Implemented - or not implemented? Enforced - or not enforced? Our environmental crises are due to our ethical crisis. What we prioritize, what we act upon. What we ignore. What we allow to happen. What ethics can do for you. Our research, writing, and webinar courses unpack principles of environmental ethics, offers comparative law and policy analyses, and promotes the work in curriculum, the courtroom, and conferences. The Biosphere Ethics Initiative (BEI) is a soft law program that seeks to highlight and promote ethical principles of biodiversity conservation in law, policy, and everyday life. It does this through the Relato Methodology. Relatos, Portuguese for written and oral descriptions about events, are interdisciplinary meetings that focus on a region or subject-matter in order to bear witness to ethics in action, share knowledge, and advise. CEEL works with experts and organizations across disciplines and sectors, including local, state, and national governments and non-governmental bodies. CEEL is proud to be a partner for a monthly webinar series on the foundations, principles, and policies of ecological law and governance. The series is presented by the Ecological Law and Governance Association (ELGA), and in partnership with the Ethics Specialist Group, IUCN World Commission on Environmental Law, Australian Earth Law Alliance, Center for Environmental Ethics and Law, Earth Law Center, and Economics for the Anthropocene. NEXT COURSE: TUESDAY 16 April 2019 @ 12:00-13:30 EST, hosted by CEEL, IUCN WCEL ESG, with UN Harmony with Nature. SDGs and Earth Jurisprudence: Education and Climate Change . At the time of the webinar, click https://zoom.us/j/976694596. Katy will be speaking to the students at her high school alma mater, Marquette Catholic in Michigan City, Indiana on Monday 18 March. 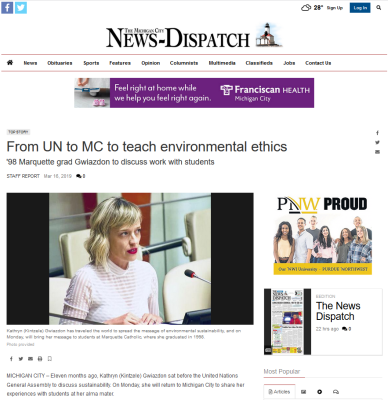 She said, "I am excited to return to Marquette, to give the students some insight into my work, and most importantly, to hear from them on how we can together better protect the foundations of life. The courage, creativity, and ingenuity of younger generations - and teenagers in particular - gives me so much hope for the future." 01 March 2019 - Project Launch! CEEL and the United Urban Network are proud to launch Gary, Rise, an ongoing civil society initiative that aims to highlight the harms to - and the hopes of - the people of Gary, Indiana, USA. We cannot separate human crises from ecological crises; and we cannot separate either from a crisis of governance. Value choices underlie every decision we make; what are the values that have guided Gary, and what are the values that should guide Gary? 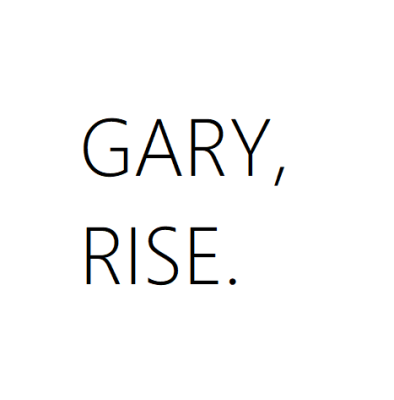 Gary, Rise will hold two formal events in 2019-2020: a Citizens Inquiry, to listen to the people of Gary, Indiana and create a formal report for governments and media; and a Peoples Tribunal, a citizen-led tribunal to raise the call against injustice and highlight a way forward. The project will be shared with and informed by CEEL's global network. Please see the project page for more information and to be involved. 07 October 2018 - Call for Support: Ethics at IUCN 2020! CEEL is working closely with the Ethics Specialist Group of the IUCN World Commission on Environmental Law and le Comité français de l'UICN to advance a proposal that places ethics and values at the forefront of the 2020 IUCN Congress in Marseille, France: Values in Action for the Future of Life: Addressing the Global Crises in Conservation and Governance. As the proposal works it way through the proper process, we are currently soliciting support from IUCN member organizations, Councilors, and Commissions, as well as individuals who are members in any of the six Commissions. We also welcome support from non-member entities from related local, regional, and international organizations. Please visit the Proposal homepage, Ethics at IUCN, or contact our Exec. Dir. 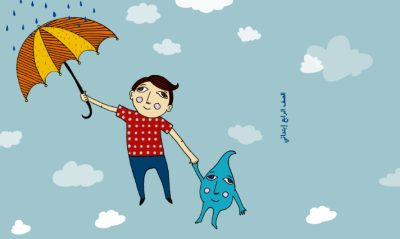 Katy Gwiazdon, for more information or to share your support. 05 October 2017 - Register now for RONA 2018! CEEL is honored to participate in the upcoming Rights of Nature Australia 2018 (RONA18), a series of connected events that explore and promote the rights of nature to exist, thrive, and evolve, hosted by the Australian Earth Laws Alliance (AELA), with the leadership of Michelle Maloney. Events include public lectures, workshops, a seminar on “Exploring our Legal Relationship with the Living World: Caring for Country, Rights of Nature and Legal Personhood,” the Australian launch of the Ecological Law and Governance Association, the Australian Peoples Tribunal for Community and Nature's Rights, and a National Arts Exhibition. Our Expert Advisor Klaus Bosselmann will be speaking on International Ecological Law and Governance and our ED Katy Gwiazdon will be presenting on "Ecological Law and Rooted Cosmopolitanism: Protecting Life on Earth through Ethics, Care, and the Cosmos." 03 October 2017 - Webinar Course November 15! We are pleased to announce a free webinar course on "Legal Developments in the Rights of Nature: Online Seminar for Legal Professionals," hosted by the Ethics Specialist Group of the IUCN World Commission on Environmental Law and the US-based Earth Law Center. For more information, please contact Grant Wilson, Directing Attorney of the Earth Law Center. 10 September 2018 - Crise environnementale ? Crise éthique ! A new article has been published in the French national newspaper, La Croix, by CEEL Board Member and Director of Research, Patrick Blandin, that argues that the current global conservation crises we face are ultimately due to a crisis of governance without vision. We are in a crisis of values - of ethics, "La crise environnementale, où interagissent transformations chimiques, dérèglement climatique, fragilisation des systèmes écologiques et réduction de la diversité biologique, est le fruit d’une crise de gouvernance, à toutes les échelles, qui résulte elle-même d’une absence de vision. En vérité, c’est d’une crise éthique dont il est question." English version here! 01 September 2018 - We are pleased to share the The Siena Declaration of Solidarity of the Ecological Law and Governance Association (ELGA), an addendum to the Oslo Manifesto - from environmental law to ecological law. 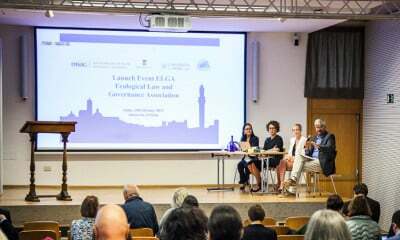 The Siena Declaration is the result of the launch of ELGA at the University of Siena, Italy in October 2017, which brought together experts in science, law, language, and policy to discuss the urgent need to begin re-framing law and policy to better protect the foundations of life. CEEL is a partner of ELGA, and our Expert Advisor Klaus Bosselmann, along with our ED Katy Gwiazdon, are among its founding members. 23 July 2018 - The Report of the UN Secretary General on Harmony with Nature (A/73/221) is now available. It includes expert testimonies from the 8th interactive dialogue on Harmony with Nature that occurred 23 April 2018, as well as local, national, and global government and NGO activities that have promoted Earth jurisprudence over the year. CEEL Exec. Dir. 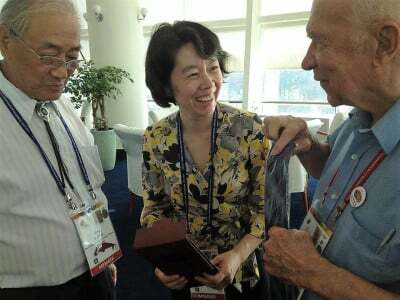 K. Gwiazdon is an Expert with the UN Harmony with Nature Knowledge Network, and served as a panelist for the dialogue. 12 July 2018 - CEEL Expert Advisor Cassandra Cannon organized a strategy session to formalize the partnership of the United Urban Network and CEEL. UUN Members and leaders in the Gary, Indiana community, Elizabeth Membres-Rendell and Sandra Goldsby, helped inform the proceedings, identifying several priority areas of concern, including regentrification; the absence of public schools, jobs, and opportunities; the rise in drugs and homicide; the disappearing culture (and pride) in the city; and power imbalances, corruption, and distrust of government officials. The partners and projects will aim to bring global and national attention to the crimes and crises they face - and the indominatable spirit of those who have refused to abandon their home. For a personal and courageous plea to bear witness and address the harms being done to this city and its people, please see Cassandra's blog, "When a City Kills." The work of local artist, activist, and youth mentor Ché will also be featured. UUN and CEEL meet for a strategy session on ethics and governance in Gary, Indiana. 4-6 July 2018 - CEEL at the 16th Annual Colloquium of the IUCN Academy of Environmental Law. The Academy is a network of nearly 200 higher education institutions around the world that recognize the key role of environmental legal education to the rule of law and environmental governance. This year, the theme was The Transformation of Environmental Law and Governance: Innovation, Risk and Resilience, and was hosted by the Strathclyde Centre for Environmental Law and Governance, University of Strathclyde in Glasgow, Scotland. In partnership with the Ecological Law and Governance Association and the Ethics Specialist Group of the IUCN World Commission on Environmental Law, CEEL Expert Advisor Klaus Bosselmann and Executive Director Katy Gwiazdon hosted a workshop on Ecological Law and Governance. Bosselmann introduced the panel with key issues of ecological law and governance, and Gwiazdon spoke on the role of ethics, including threats, principles, and a methodology for action. The following day, Bosselmann and Gwiazdon held a small strategy meeting of the IUCN WCEL ESG. A side meeting of the Ethics Specialist Group of the IUCN World Commission of Environmental Law. 26-30 June 2018 - CEEL at the 26th Annual Symposium of the Global Ecological Integrity Group (GEIG). GEIG is an international network of over 250 experts from across disciplines that seek to expand inter-disciplinary frameworks that promote sustainability for all life on Earth. The 2018 Symposium was hosted by the University of Salerno, with support from the European Law Students Association - Italia. The theme was, "Ecological Integrity and Land Uses: Sovereignty, Governance, Displacements and Land Grabs." Several members of CEEL leadership participated in the conference, including Expert Advisors Donato Bergandi, Klaus Bosselmann, Prue Taylor, and Laura Westra, Board Member Donald Brown, and Executive Director Katy Gwiazdon. A collection of articles from the event will be published in 2019. CEEL Expert Advisor Prof. Donato Bergandi of the Paris Muséum national d'Histoire naturelle presenting on, "Environmental Law Between Integrity and Intrinsic Value." 01 June 2018 - Publication announcement! 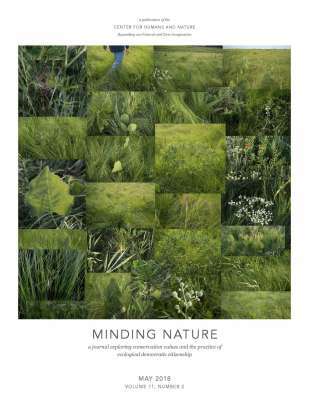 Executive Director K. Gwiazdon and CEEL Expert Advisor Bruce Jennings have articles in the Spring 2018 volume of Minding Nature, the multi-disciplinary journal of the Center for Humans and Nature "exploring conservation values and the practice of ecological democratic citizenship." Jennings is featured in "What is After Us?" He explores the voice of ethics in climate change and argues that we must address "the social determinants of ecological disaster." Gwiazdon argues for an end to business as usual thinking and acting, and offers a way forward in "We Cannot Fail: the promise and principles of ecological law and governance." 10 May 2018 - Publication announcement! Ecological Integrity, Law, and Goverance is now available, eds. L. Westra, K. Bosselmann, J. Gray, and K. Gwiazdon (Routledge). Several CEEL Expert Advisors contributed to the publication, including Profs. Westra. Bosselmann, Taylor, Soskolne, Bergandi, and Engel, as well as Board member Donald Brown and Exec. Dir. Katy Gwiazdon. independent researchers worldwide, from diverse disciplines, including ecology, biology, philosophy, epidemiology, public health, ecological economics, and international law. 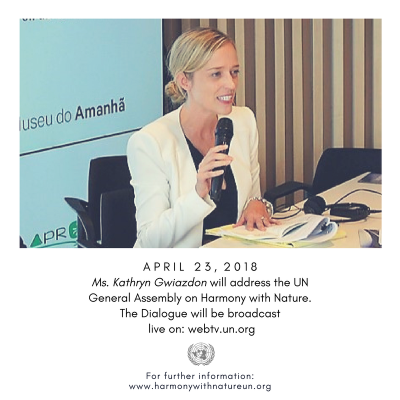 25 April 2018 - CEEL's Executive Director Katy Gwiazdon participated at the 8th UN General Assembly Dialogue on Harmony with Nature on April 23, 2018. Click here for the full programme. Ms. Gwiazdon discussed, "How Earth ethics can inform local and global law and governance to create sustainable consumption and production practices." She argued that Earth ethics, and ethical engagement, is foundational to an ecological, or Earth-centered, approach to law and governance; addressed the major threats to living in Harmony with Nature; and called for courageous State action. "From my work in ethics, I believe that the greatest challenges to living in Harmony with Nature, to creating sustainable production and consumption practices are, quite simply, the power of money and the poison of corruption." Click here for a transcript of her remarks. 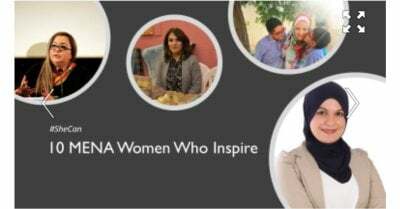 26 March 2018 - We congratulate CEEL Board Vice-Chair Mayyada Abu Jaber for being named an Inspiring Woman Entrepreneur Making a Difference Across MENA (the Middle East and North Africa) by the World Bank for "inspiring change, transforming lives, and empowering many in their communities." We can because #SheCan! We are proud to have her voice and leadership at CEEL. To learn more about her work, please read her recent article, "Time to stop ignoring cultural barriers to female employment in the MENA region." 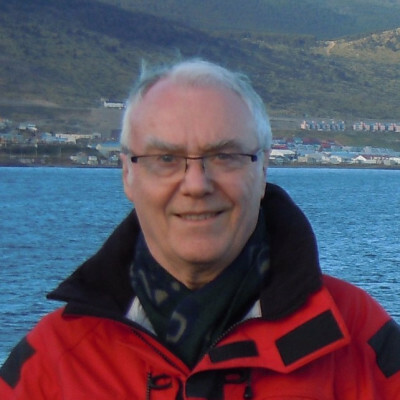 12 December 2017 - Prof. Patrick Blandin, CEEL Director of Research and professeur émérite du Muséum national d’histoire naturelle (Paris, France), published his newest article, Biodiversité : de la science à l’éthique. Abstract: Inventé en 1985, le mot « biodiversity » a connu un remarquable succès dans les milieux scientifiques, tandis qu’il a pris place en droit de l’environnement. Cet article tente de cerner ce que le néologisme, devenu concept, a provoqué comme renouveau en biologie et dans les façons d’envisager la conservation de la nature. Des ambiguïtés dans sa définition juridique sont soulignées. Enfin, les fondements éthiques de la conservation d’une biosphère diversifiée sont présentés dans une perspective écologique et évolutionniste. 10 December 2017 - The Evolving Biosphere Ethic is now available in Russian! CEEL gives sincere thanks to the students from Group 8, 3rd Year, at the Russian State University of Justice: Alexandra Mazcka, Julia Ataullova, and Maria Kurilova, with the assistance of Professor Irina Krasnova. 17 October 2017 - CEEL Executive Director Kathryn Gwiazdon e-presents, "The Promise of Ecological Law: The Ethical and Legal Implications of State Non-Action in Protecting the Foundations of Life" at "Economics for the Anthropocene: from environmental law to ecological law." 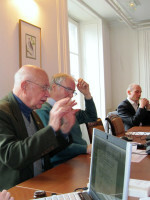 The conference was hosted by McGill University, Montréal, Canada, in partnership with the Ecological Law and Governance Association. The full conference can be viewed here. George passed away July 27, 2017 in Chicago, Illinois. Not only was George one of the most influential conservationists in the world, he was a friend, a dear friend, to the people and ideas of CEEL. "I see you, and I will stand for you" is a letter from our Executive Director, with the heartfelt support of the CEEL Board of Directors. 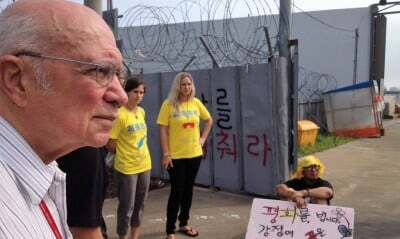 CEEL will continue to honor George in heart and mind - and courageous action. 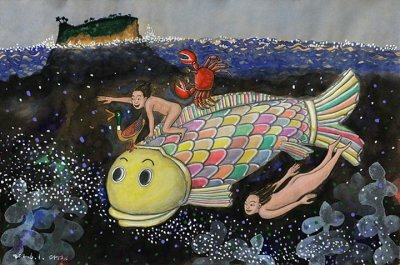 His spirit is alive in the Biosphere Ethics Initiative, and CEEL will determinedly raise awareness to the invisible and the vulnerable in, The Tale of Toughie: Ethics and the Amphibian Crisis. Onwards!